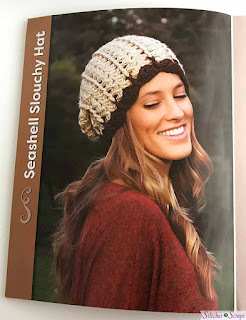 I received a free review copy of Crocheted Hoods & Cowls from Stackpole Books. Although I accept free products for review, I do not guarantee a positive review. My reviews are based entirely on my honest opinions. All images of copyrighted material are used with permission. Keep warm through the winter with these Crocheted Hoods and Cowls! From adorable critters hoods for kids to stylish adult accessories, there's something in this book for everyone! 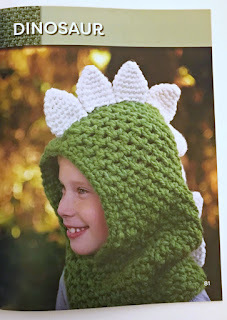 The patterns that caught my eye first were the hoods for kids. There are 7 different animals, including a kitty and a giraffe, and even a dinosaur. I think the dinosaur could be a dragon too - what do you think? 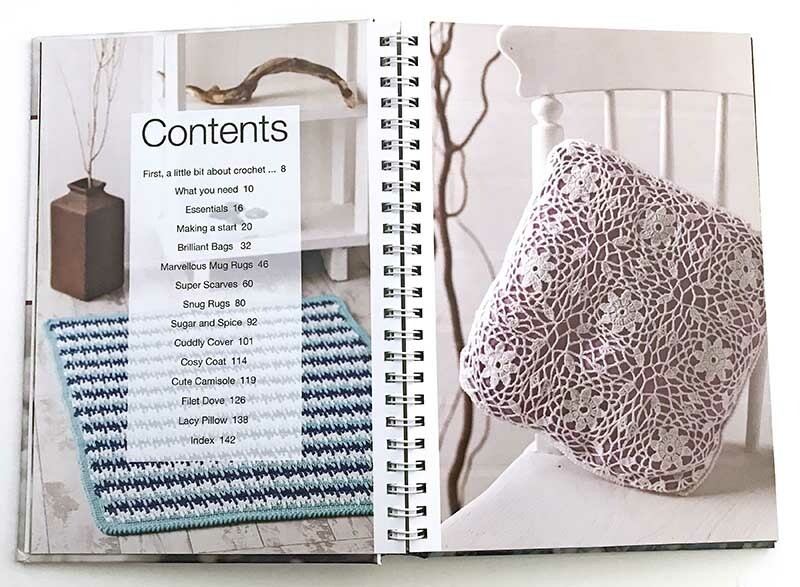 For adults, there are 20 beautiful patterns featuring rich textures, from subtle to bold and chunky. The book says these are intended for women, but most of them seem pretty gender neutral to me. For example, I could see a guy looking handsome in this Linen Stitch Hood. 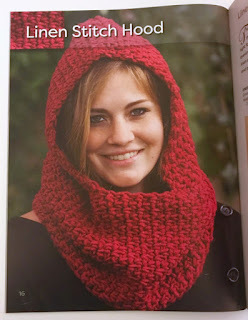 Among the patterns are hoods, hooded cowls, and hooded scarves. Hooded scarves are my favorite because they can be worn in different ways. If I'm really cold, I like to tie the scarf ends and shove them down into my jacket for an extra layer of warmth. If it's just a bit chilly, I'll let the ends hang free. 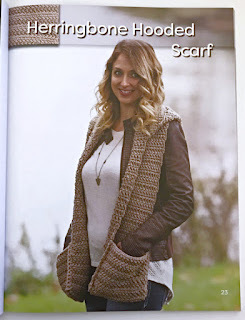 This herringbone hooded scarf would be perfect for that, and they made it even better by adding pockets! 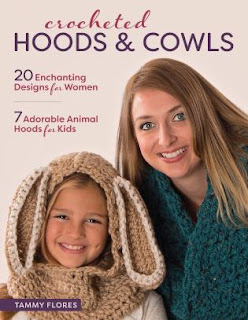 You can enter to win your own copy of Crocheted Hoods & Cowls! This prize is generously provided by the publisher, Stackpole Books. To be eligible, you must be 18 years of age or older, with a valid shipping address in the US. The winner will be contacted by email and must reply to that email and provide the shipping address within 1 week in order to receive the prize. If the winner does not reply within 1 week, a new winner will be selected. The giveaway ends at 11:59pm Central Time on December 31st. Hurry and enter below! 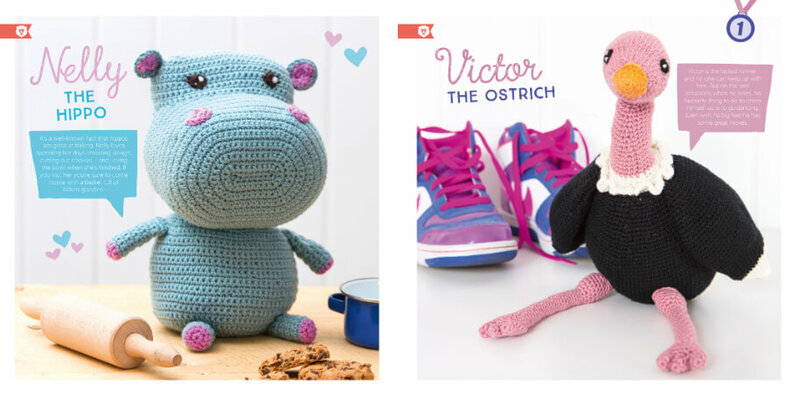 Cuddly Animals to Crochet - make these cuties for someone you love! 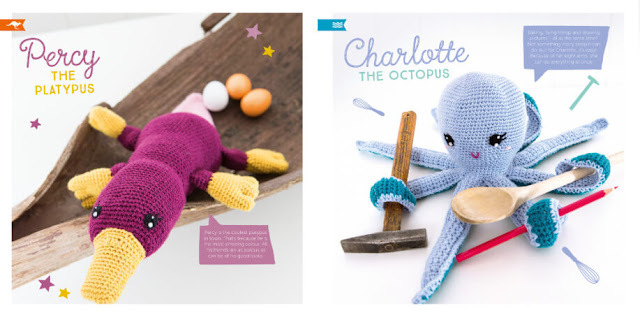 Are you looking for some fun crochet creations for the little ones in your life? Well I have the book for you. Stick around 'till the end and you could even win a copy of your own! 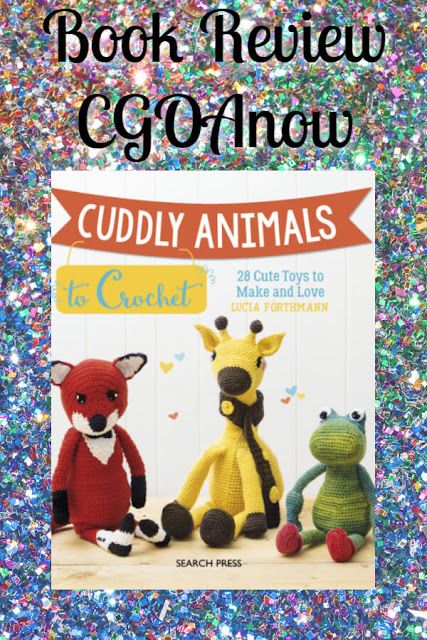 Cuddly Animals to Crochet: 28 Cute Toys to Make and Love by Lucia Forthmann is full of wonderful crochet patterns that are sure to bring joy to the little ones in your life! The patterns are separated into 7 categories - Forest, Farm, Africa, Asia, Australia, South America, and Water. Each category includes several lovable creatures that you can create in the colors of your choice. 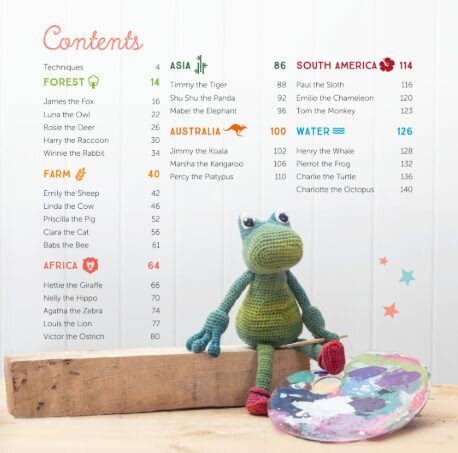 Before the patterns begin, there are several pages of techniques with lots of useful pictures to help you with your creations. The patterns are written in US and UK terms. 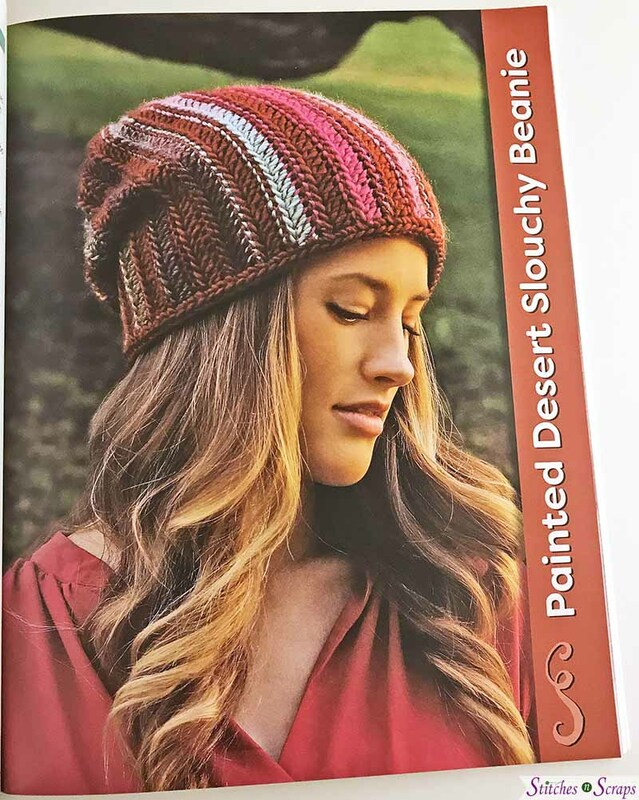 All patterns include a supply list which includes the yarn suggested. Of course, you can use another yarn or other colors if you choose, just remember if your gauge is different than the size will be different. Each pattern includes color photos and a fun little bio about the critter you are about to create. The patterns are well written; between that and the techniques at the beginning of the book, even a beginner crocheter should be able to crochet these cuties. You can find Cuddly Animals to Crochet on Amazon HERE. You can also enter the giveaway below for a chance to win a copy. To enter this giveaway, you must be at least 18 years of age and have a valid shipping address in the North America. Void were prohibited. This giveaway will end at the end of day on December 3rd eastern time. Winner will be contacted by email and will have 1 week to reply with a valid shipping address or a new email will be chosen. 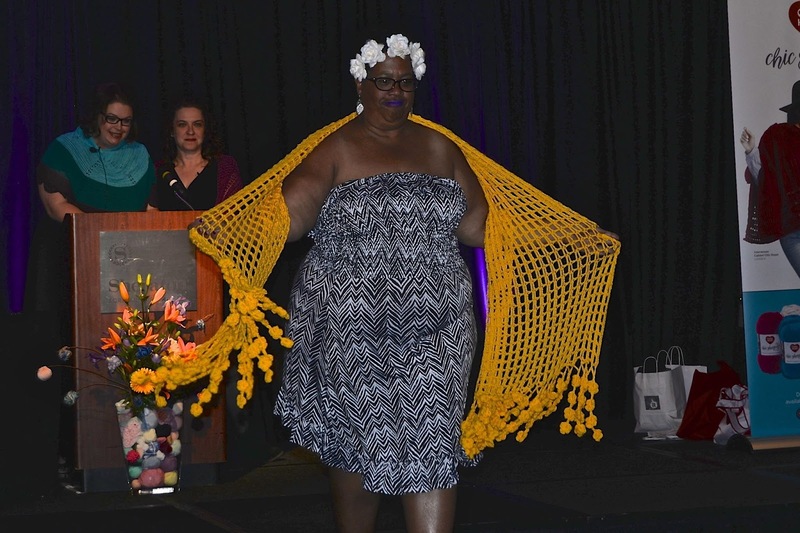 I'm Marie from Underground Crafter and I'm back to share a roundup of seasonal crochet patterns designed by Crochet Guild of America members. The weather is getting colder in most parts of the country so I thought this would be a perfect time to highlight fall wearables! 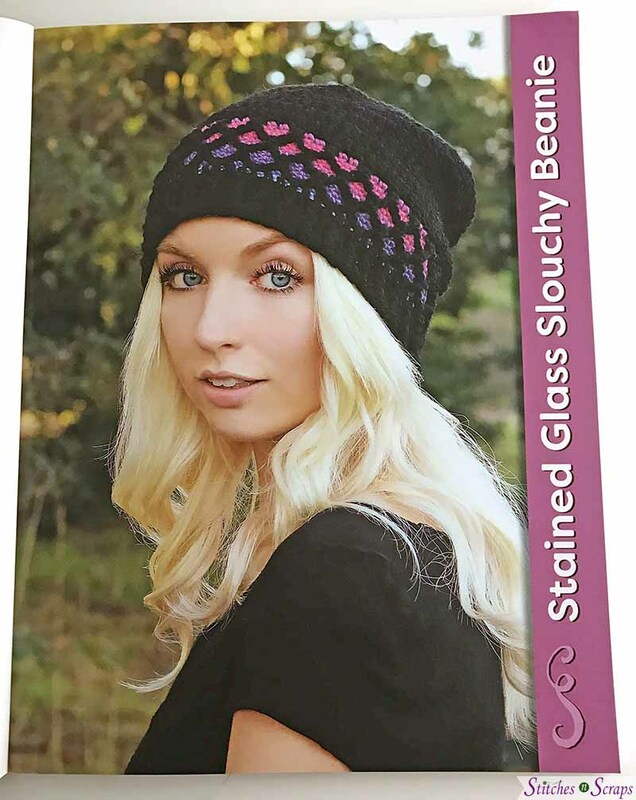 These patterns include hats, scarves and other neckwarmers, shawls and ponchos, cardigans and tunics, and even a clutch. 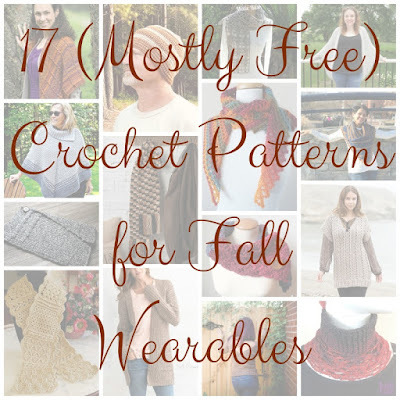 You’re sure to find a great project in this roundup of 17 mostly free crochet patterns for fall wearables. All images are © the respective designer or publisher and are used with permission. It’s Fall Y’all Shawl, free crochet pattern by Stitches n Scraps: This cozy, triangular shawl uses a self-striping yarn to make the colorwork easy. Fatima Poncho, free crochet pattern by Pattern Paradise: This knit-look, textured poncho features a collar. Cabled Clutch, premium crochet pattern by Underground Crafter for KnitCrate: This clutch features twisted cables and an asymmetrical picot closure. Aran Sampler Scarf, premium crochet pattern by Bonnie Bay Crochet: This sampler features 10 Aran/Celtic crochet stitches with video tutorials. 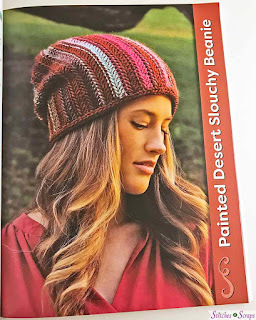 Double Down Beanie, free crochet patterns by ELK Studio: This pattern is available in both bottom-up (pictured) and top-down versions. Classy Guy Scarf, premium crochet pattern by Randy Cavaliere for Annie’s: This plaid scarf features long fringes. Everyday Cardigan, premium pattern by A Crocheted Simplicity: This classic cardigan with an oversized fit is available in 8 sizes from XS to 4X. Mourning Dove Scarf, premium crochet pattern by American Crochet: This lacy scarf is a great statement piece. 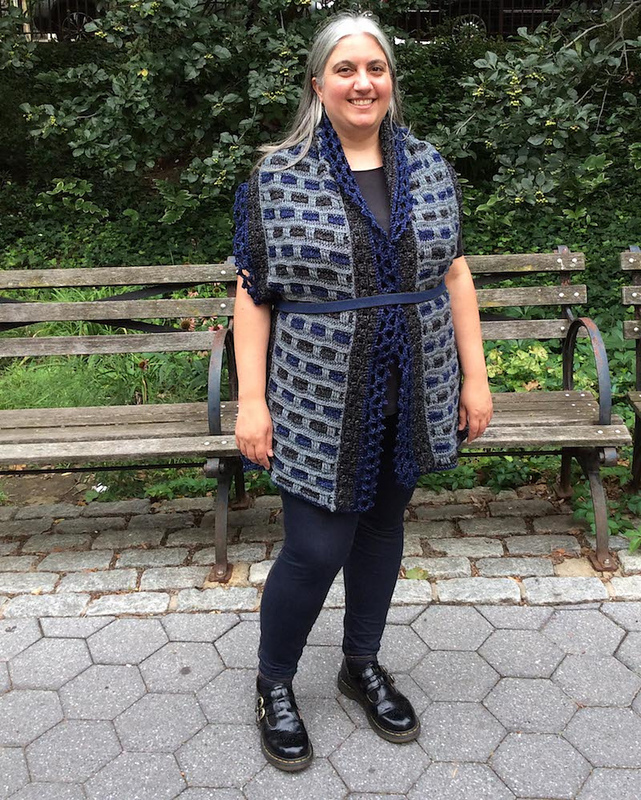 Hitch a Ride Scarf, premium crochet pattern by The Crochet Architect: This asymmetrical scarf makes a great one-skein project. Autumn Breeze Scarf, free crochet pattern by Oombawka Design: Use buttons to create multiple styling options for this simple scarf pattern. Timber V Back Pullover, free crochet pattern by Cre8tion Crochet for Furls: This form fitting sweater is available in 8 sizes and is being released in 3 parts throughout September, 2018. Hygge Cocoon Cardigan, free crochet pattern by Moogly: This beginner-friendly oversized cardigan with ribbed sleeves is available in 2 versatile sizes: Misses and Plus. Blues and Brass Bandana Cowl, free crochet pattern by Same DiNamics Crochet: This buttoned bandana cowl pattern is available in 3 sizes from X/S to 1X-5X. Wandering Tunic, premium crochet pattern by Tammy Hildebrand for Annie’s: This tunic is available in 4 sizes from S/M to 3XL. The pattern is available as a digital download or print-to-order. Chrissy Neckwarmer (pictured), free crochet pattern by Jessie At Home: This beaded neckwarmer coordinates with the free crochet pattern for the Chrissy Hat. I hope you enjoyed this roundup! 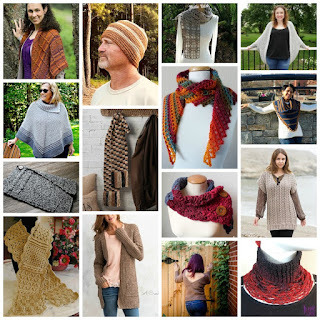 You can find more project inspiration on my Crochet/Knitting For Fall Pinterest Board. A free review copy of Design It, Promote It, Sell It was provided to me by Marie Segares. Although I accept free products for review, I do not guarantee a positive review. My reviews are based entirely on my honest opinions. All images of copyrighted material are used with permission. Marie Segares has been an authority on the business of crochet for years. 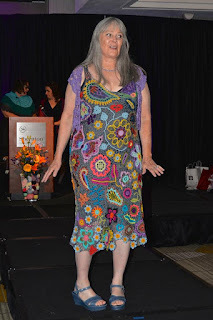 Her Creative Yarn Entrepreneur site and podcast have helped many designers start or grow their business, including me. 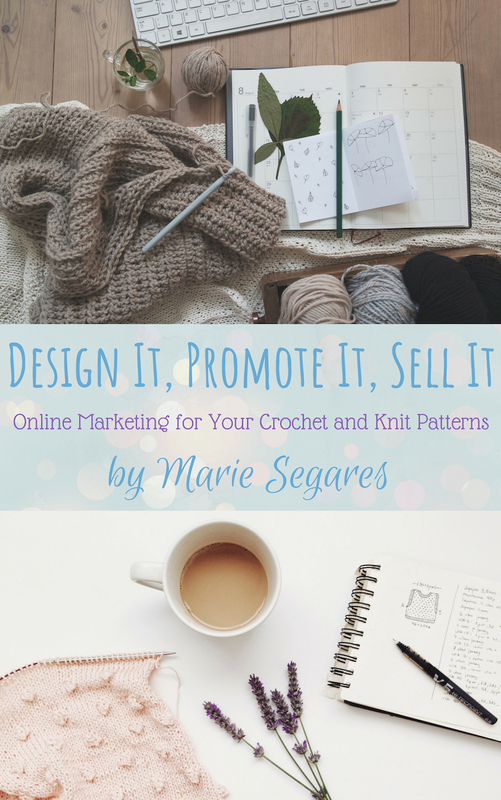 So I'm very excited to review her new book: Design It, Promote It, Sell It - Online Marketing for your Crochet and Knit Patterns. This book is invaluable for anyone who wants to knit or crochet as a business. If that's not you, it's still an intriguing look into the business behind the patterns you enjoy! It's also a great introduction to online marketing for any kind of business. The book does go into specific social media platforms and marketing strategies, which can change over time. Most of the book, however, discusses more timeless marketing concepts. It is divided into 5 sections that take you from a broad-strokes, crash course in marketing to specific action items and resources. Work through defining your business and audience, developing a marketing strategy, evaluating your results, and focusing your efforts where they are the most rewarding. Learn about marketing on Facebook, Pinterest, YouTube, and other social media platforms. Find new tools to add value and encourage interaction with your customers. Explore some common pitfalls, and find a balance between marketing efforts and all the other aspects of your business. Marie is not only a talented designer herself, but also has a strong marketing background which really shows through. Read this author interview for more information about her, and the journey that brought her to write this book. 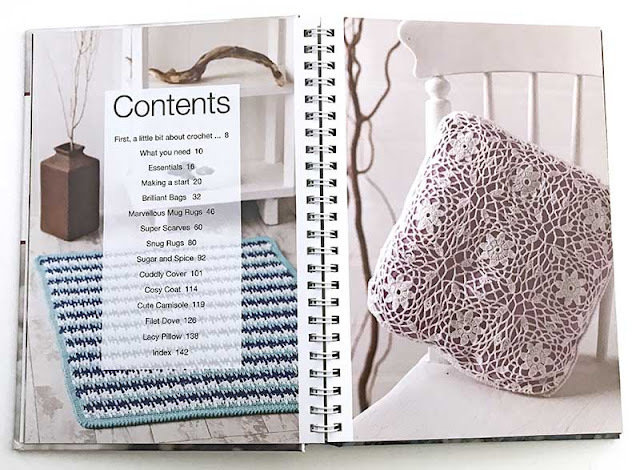 Design It, Promote It, Sell It comes in 3 editions. The PDF ebook is 69 pages, including printable worksheets and checklists. You can enter to win your own digital (pdf ebook) copy of Design It, Promote It, Sell It. This prize is generously provided by the author, Marie Segares. To be eligible, you must be 18 years of age or older, with a valid email address. The winner will be contacted by email, and must reply to that email within 1 week in order to receive the prize. If the winner does not reply within 1 week, a new winner will be selected. See entry form for full terms. The giveaway ends at 11:59pm US central time on September 30th. Hurry and enter below! 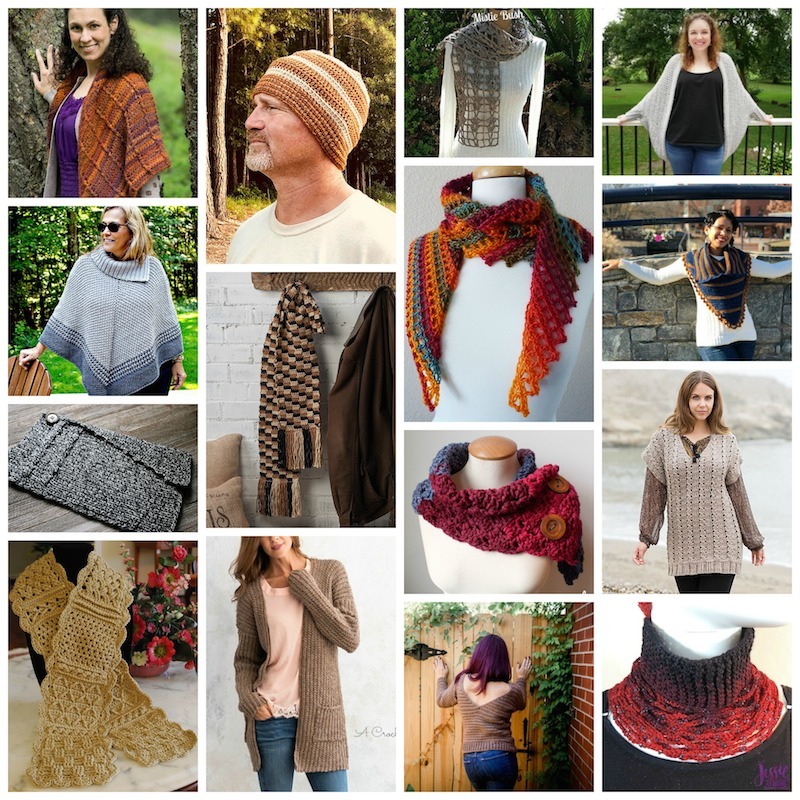 The Craft Yarn Council's fall campaign is here! 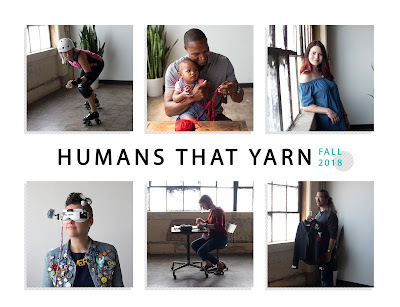 "Humans That Yarn" features six unique people who all craft with yarn and their stories reflect the variety of people who identify as yarnists. 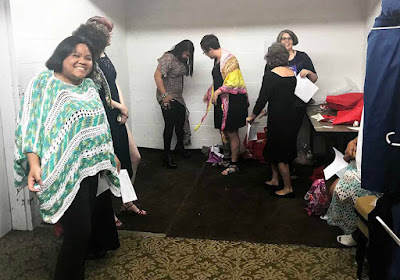 They'll also highlight several other people in the yarn community who have unique stories that you will be able to relate to. The point of the campaign is to spotlight the people behind yarn crafts, rather than focusing on specific yarn projects. Along with highlighting a variety of people, Humans Taht Yarn aims to showcase different types of crafts that can be made with yarn. 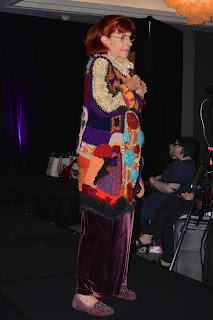 So, if you're a "yarnist" (yarn artist), be on the lookout for conversation about yarn crafts of all types this fall. You'll find inspiration and ideas, teaching tips, free patterns, project ideas, giveaways, ad so much more. Make sure you check out CYCA's social media pages (see links below). And make sure you tag your posts with #humansthatyarn and #yarnist. I'm Marie from Underground Crafter and I'm here to share a roundup of seasonal crochet patterns designed by Crochet Guild of America members. 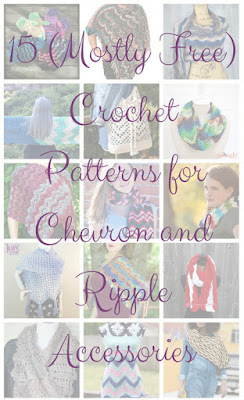 This month's theme is chevrons and ripples. I’m sharing 15 (mostly free) crochet patterns for women’s accessories that would be perfect for the fall. Each includes chevrons or ripples prominently in the design. 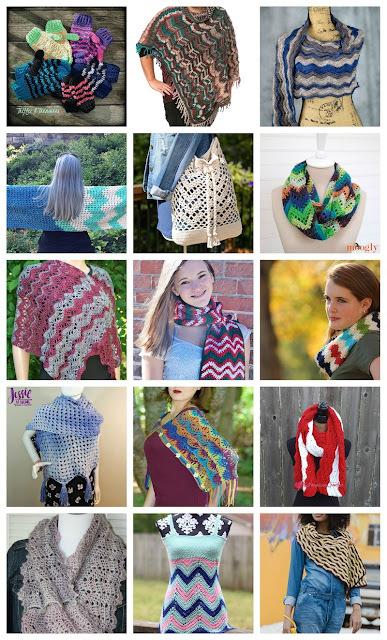 This roundup includes shawls and wraps, scarves and cowls, tops, ponchos, bags, and mittens. All images are © the respective designer or publisher and are used with permission. Warm Waves Mittens, premium crochet pattern by Trifles n Treasures: This pattern is available in 4 sizes from toddler through adult large. 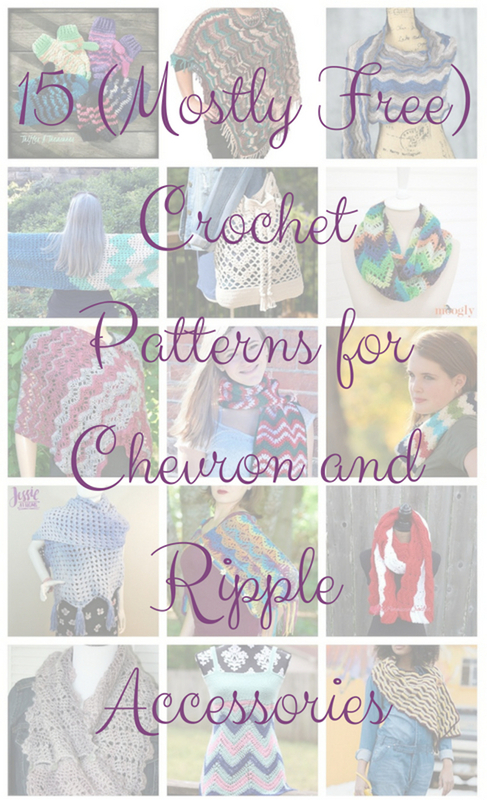 Granny Chevron Wrap, free crochet pattern by Underground Crafter: This rectangular wrap combines ripples and color blocking for a dramatic effect. Excursion Wrap, premium crochet pattern by Linda Dean Crochet: This striped, lacy wrap uses a simple row repeat pattern. 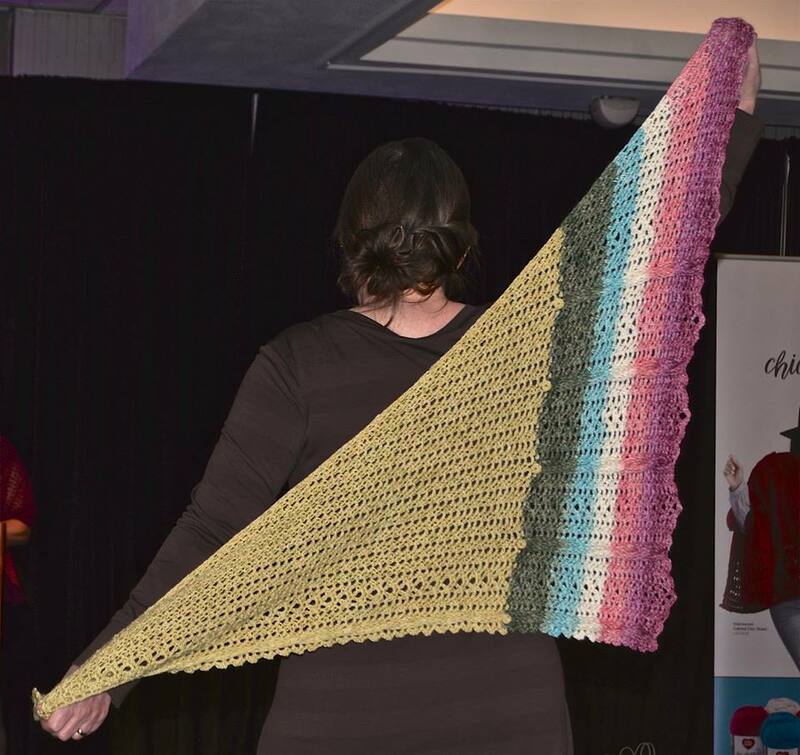 Granny Ripple Wrap, free crochet pattern by Jessie At Home: This tassled wrap is made with an ombre yarn that does the colorwork for you. 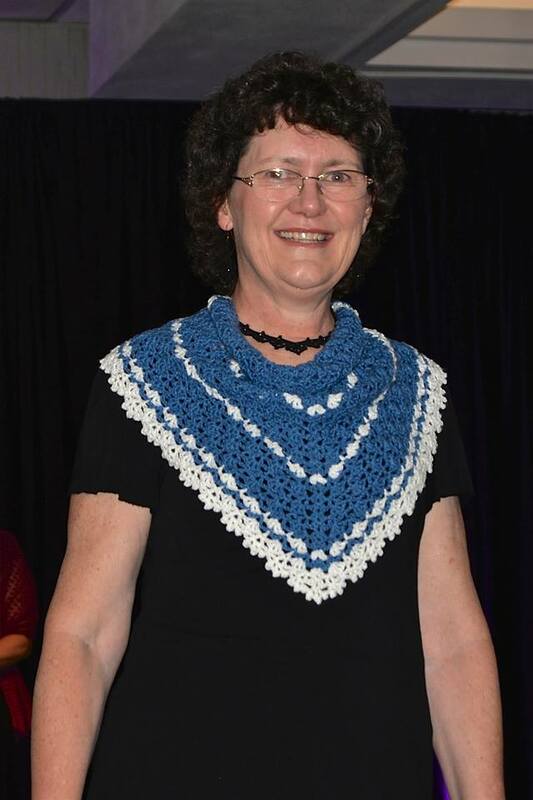 Pearl Cowl, premium crochet pattern by Gwen Buttke McGannon: This buttoned cowl is worked in one piece. Perfect Simple Cowl Poncho, free crochet pattern by Marly Bird: This pattern includes abbreviations, international stitch symbols, and video tutorials. Chevron Chic Tote Bag, premium crochet pattern by A Crocheted Simplicity: This stylish tote can be made with crocheted straps or purchased handles. Merry Pompom Scarf, premium crochet pattern by Karen McKenna: This striped scarf features pompoms for embellishment. 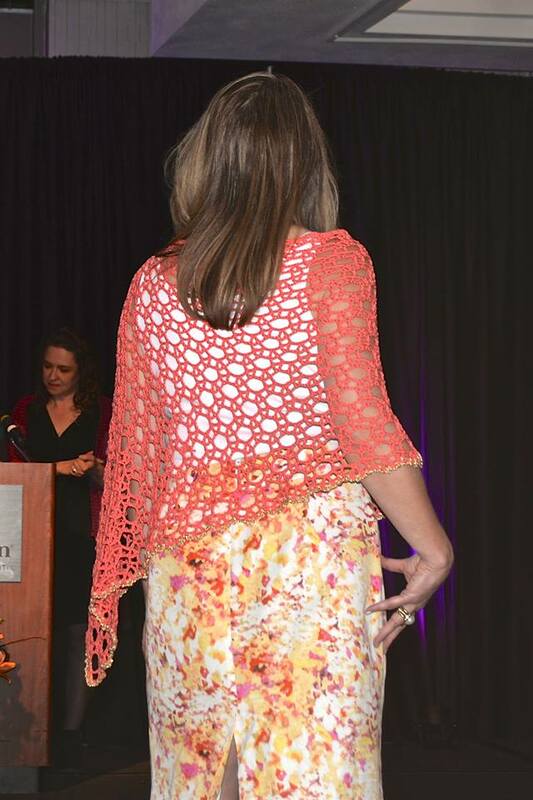 Autumn Sky Wrap, premium crochet pattern by Blackstone Designs: This one-piece, fringed wrap makes a bold statement. Chevron Tank Top, free crochet pattern by Busting Stitches: This pattern is available in seven sizes from XS through 3X. Sands by the Sea Shore, free crochet pattern by ELK Studio: This chevron wrap features asymmetrical stripes. Chevron Lace Infinity Scarf, free crochet pattern by Moogly: This pattern is part of the Chevron Lace series and includes both pattern abbreviations and an international stitch symbol chart. Mini-Chevron Infinity Scarf, free crochet pattern by Celtic Knot Crochet: This single crochet chevron uses a one-row repeat. 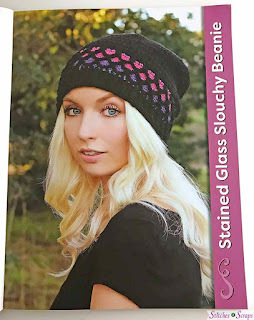 The pattern includes both written abbreviations and international stitch symbols. Peppermint Wrap, free crochet pattern by American Crochet: This striped rectangular wrap is worked lengthwise. Wriggle Wrap, premium crochet pattern by Edie Eckman: This buttoned, striped wrap is one of 30+ projects featured in this issue of Crochetscene magazine. I hope you enjoyed this roundup! You can find more project inspiration on my Crochet Accessories for Women Pinterest Board. A free review copy of Crochet For the Absolute Beginner was provided to me by Search Press. Although I accept free products for review, I do not guarantee a positive review. My reviews are based entirely on my honest opinions. All images of copyrighted material are used with permission. 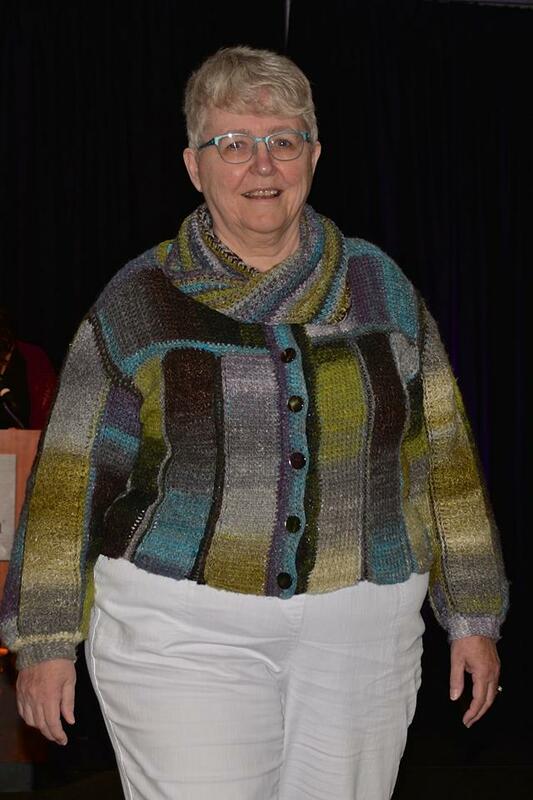 One of my favorite parts of the CGOA Chain Link Conference this year was getting to meet Pauline Turner. I took one of her classes and besides learning a lot, it was very entertaining. She's an absolute riot, and a genuinely nice person too. Pauline was inducted into the CGOA Hall of Fame this year, and I had the pleasure of interviewing her on Facebook live. 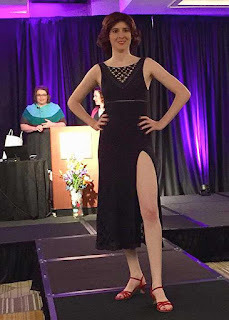 We talked about her book, Crochet for the Absolute Beginner, along with some of her other books, and other exciting directions her work has taken her. 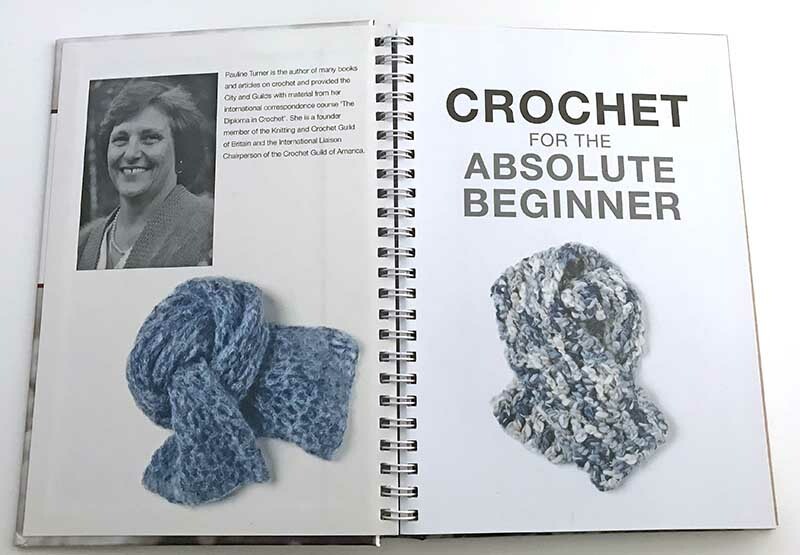 Crochet for the Absolute Beginner was first published in 2005 as the Beginner's Guide to Crochet. It was such a popular book that it's been republished (a few times, I believe) since then. This latest edition has all the same text and images in an updated, easy to read layout. It also features a spiral binding, so that it can be opened completely flat. This is important when your hands are too busy crocheting to hold a book open! 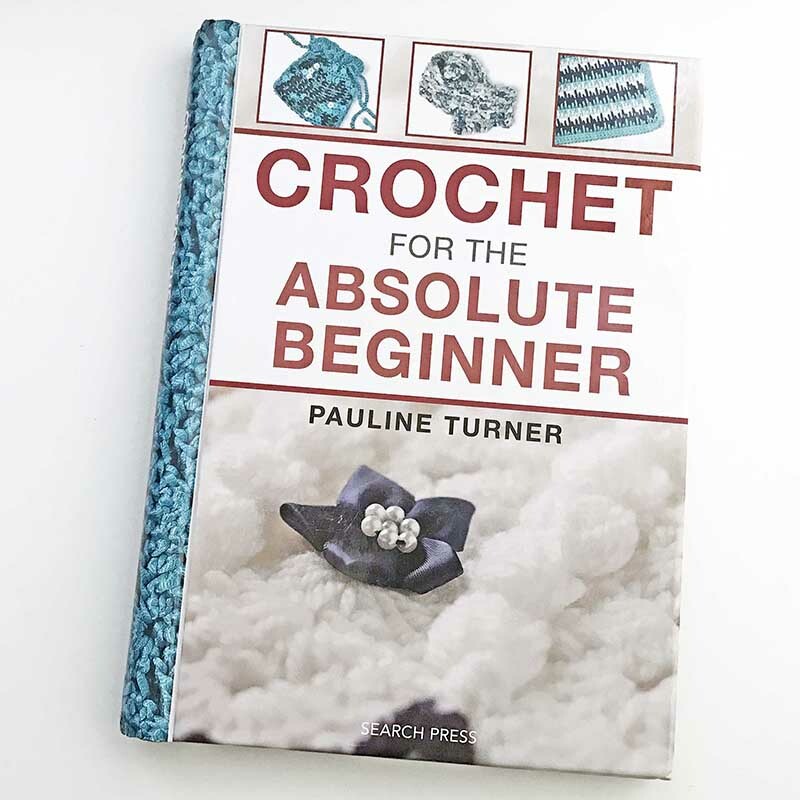 This book is exactly what it says - a comprehensive guide for brand new crocheters. 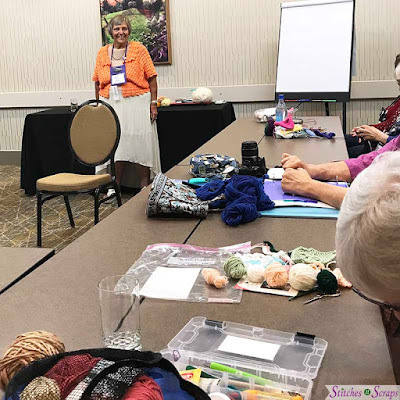 It takes you from choosing yarns and hooks, through all the basic stitches and more. As she teaches each stitch, Pauline also shows the abbreviations and chart symbols. This way students can learn the language of patterns and charts seamlessly, as they learn each stitch. One little feature I absolutely love is this fold-out abbreviations list. 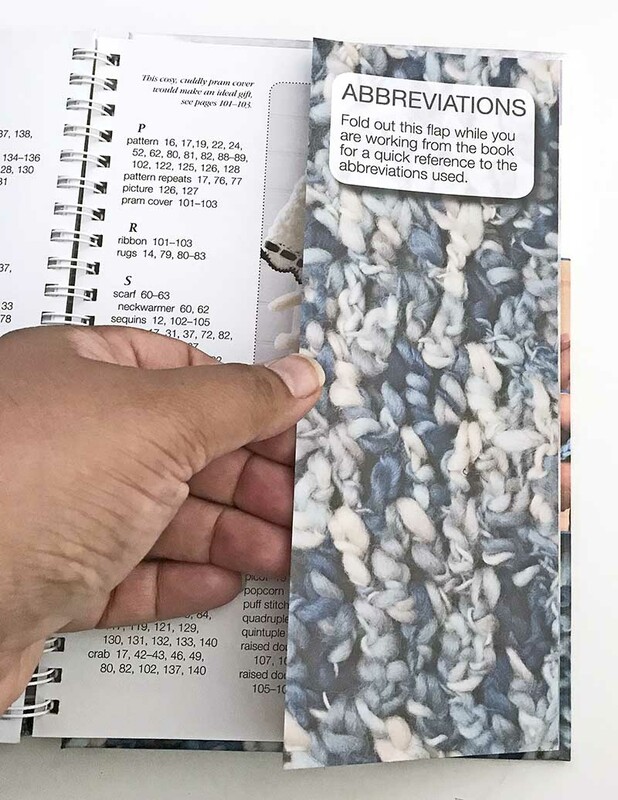 When opened, it sits to the right of the book pages, so no matter what page you are on you can always see the list of abbreviations! What a great tool for learning to read patterns. If you need help with pattern reading, chart reading, or just brushing up on your basic skills, this book is for you. Even if you don't, there are plenty of patterns to enjoy as well! 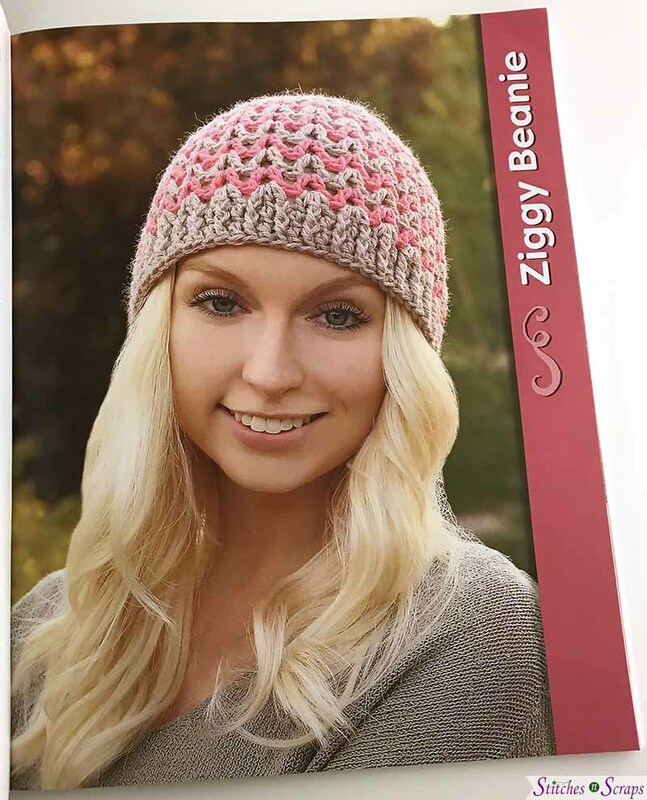 It's also a great gift to help spread the love of crochet to someone who might want to learn. You can enter to win your own copy of Crochet For the Absolute Beginner. This prize is generously provided by the publisher, Search Press. To be eligible, you must be 18 years of age or older, with a valid shipping address in the US. The winner will be contacted by email, and must reply to that email and provide the shipping address within 1 week in order to receive the prize. If the winner does not reply within 1 week, a new winner will be selected. See entry form for full terms. The giveaway ends at 11:59pm US central time on August 31st 2018. Hurry and enter below!